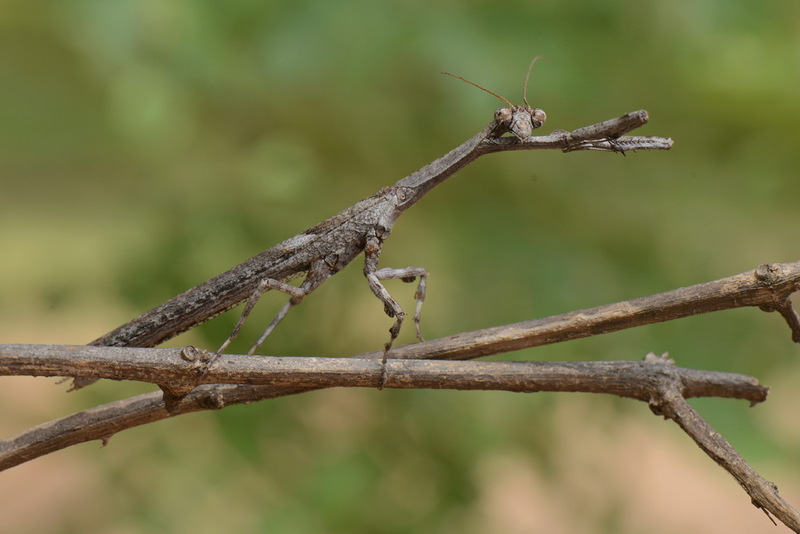 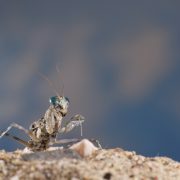 Preying (or praying) mantids are among the most fascinating of all insects. 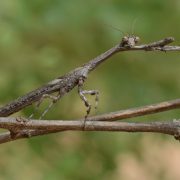 Their penetrating stare and the typical hunting positions with raptorial legs kept together under the head, like the arms of a praying man, made it a sacred creature for many ancient cultures. 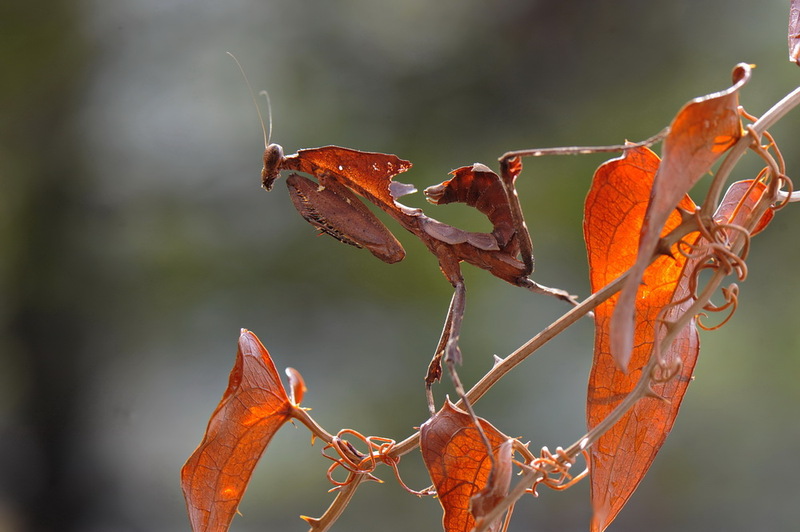 These insects can be found in every tropical and subtropical area and belong to the class Insecta, order Mantodea, counting more than 2000 species from the size of a fly to giants of more than 15 cm. 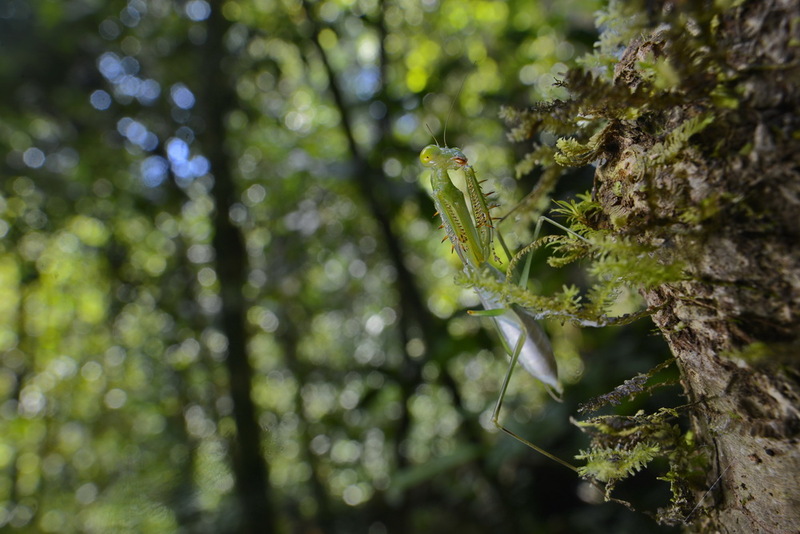 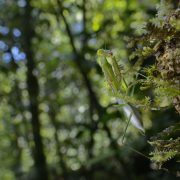 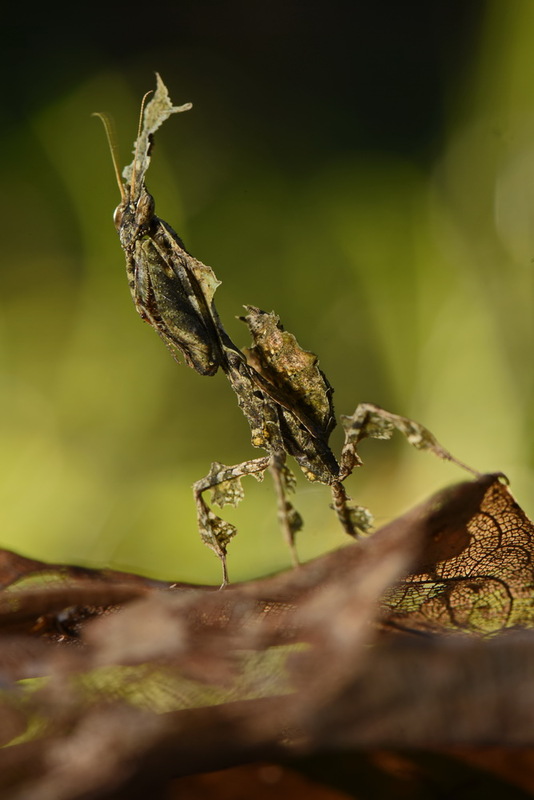 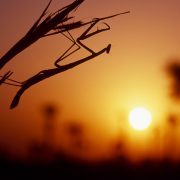 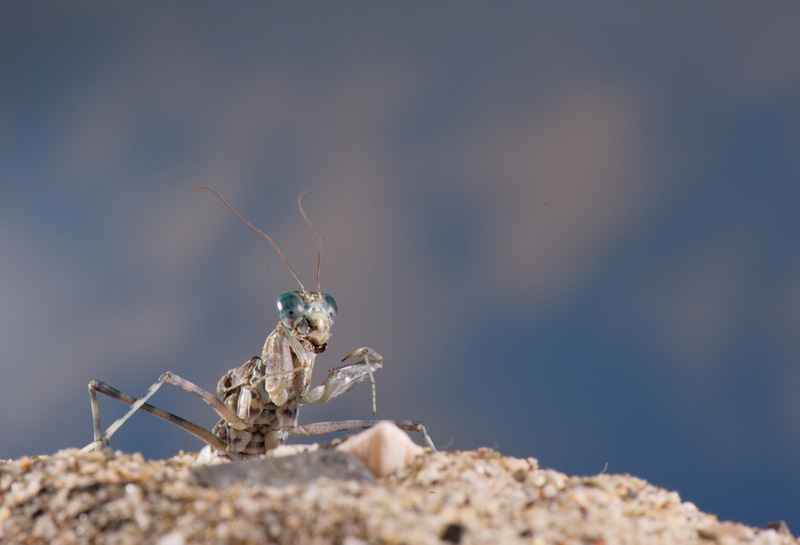 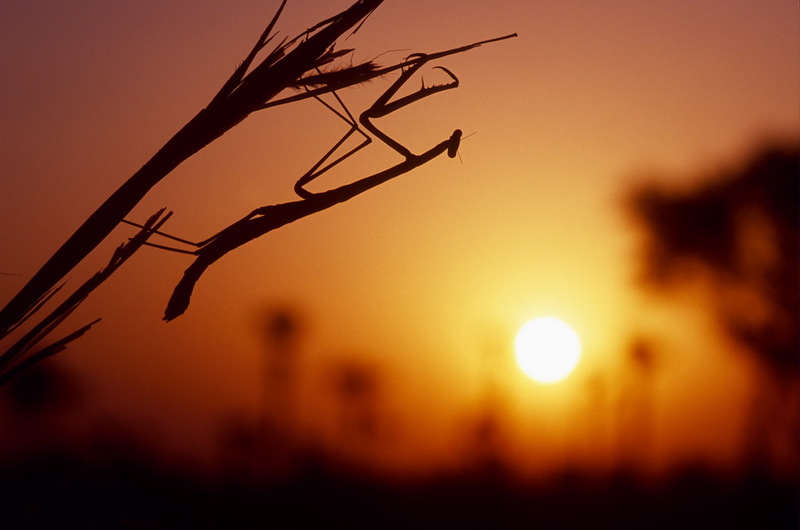 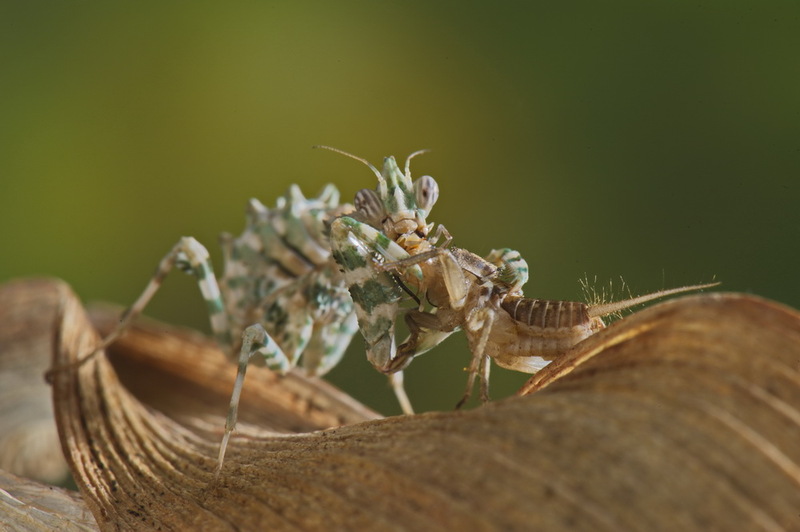 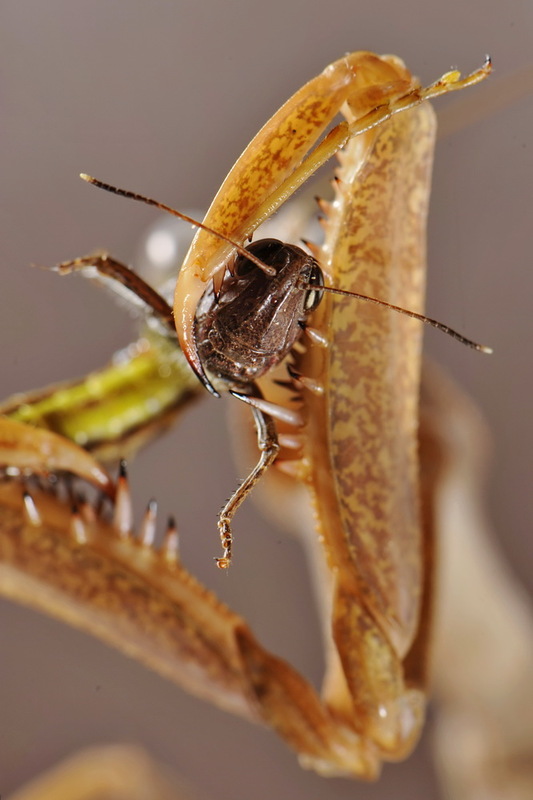 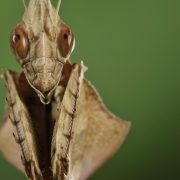 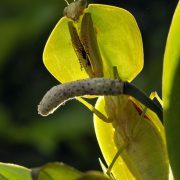 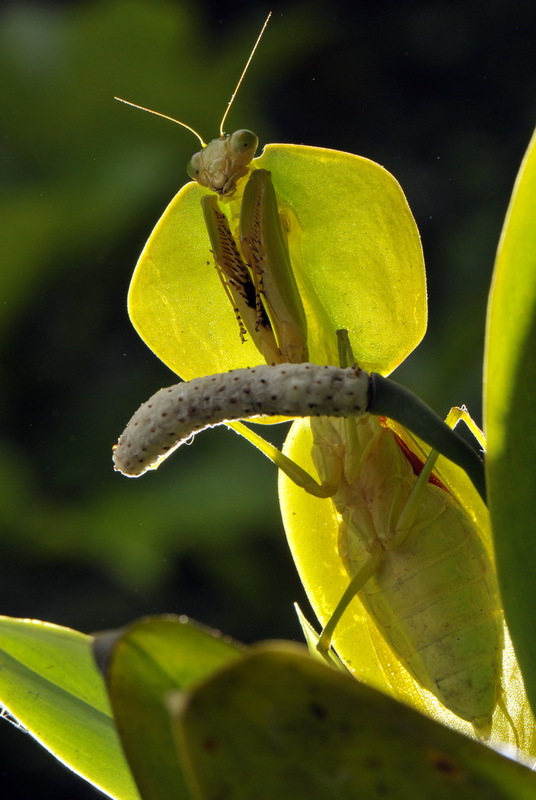 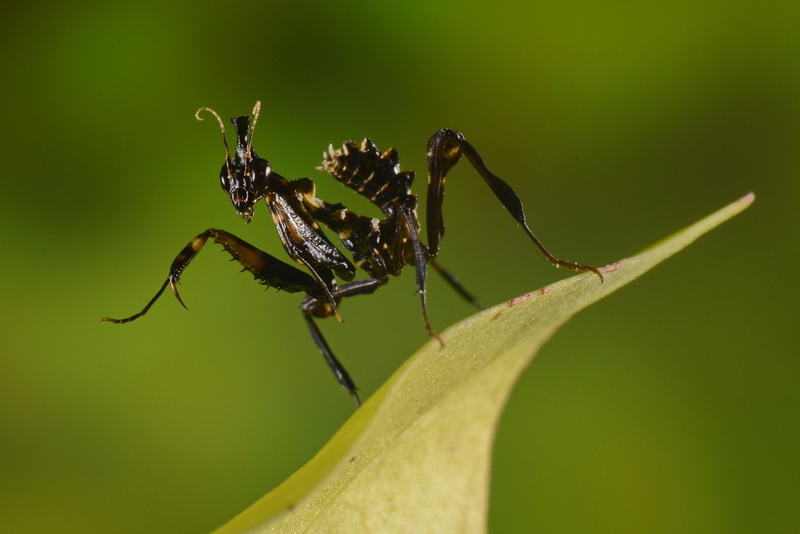 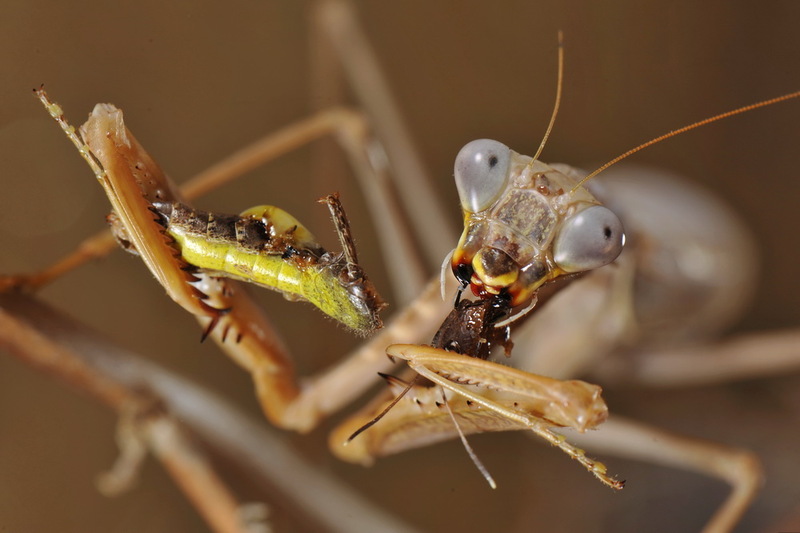 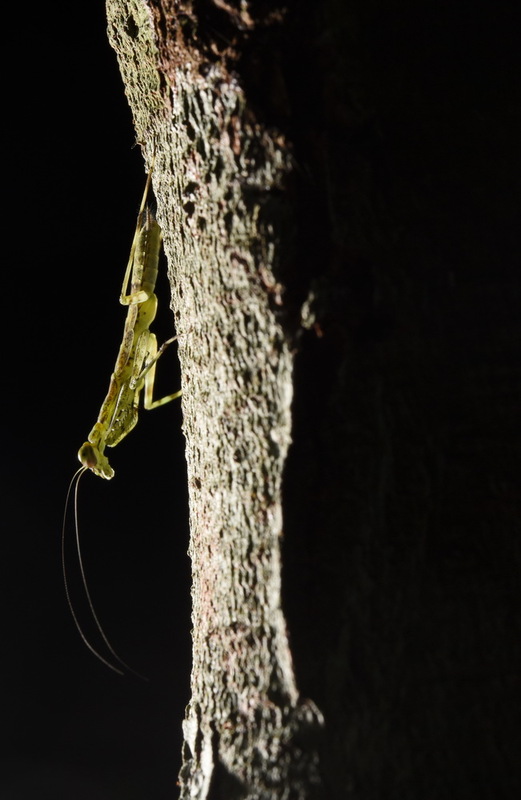 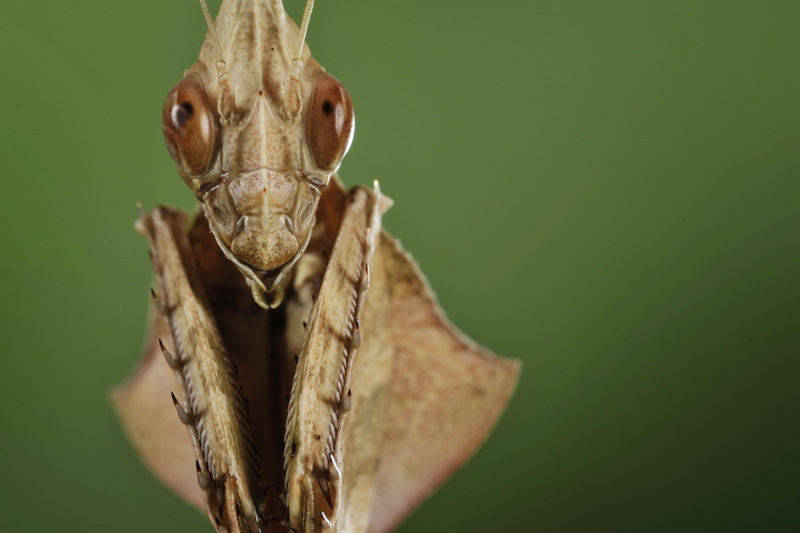 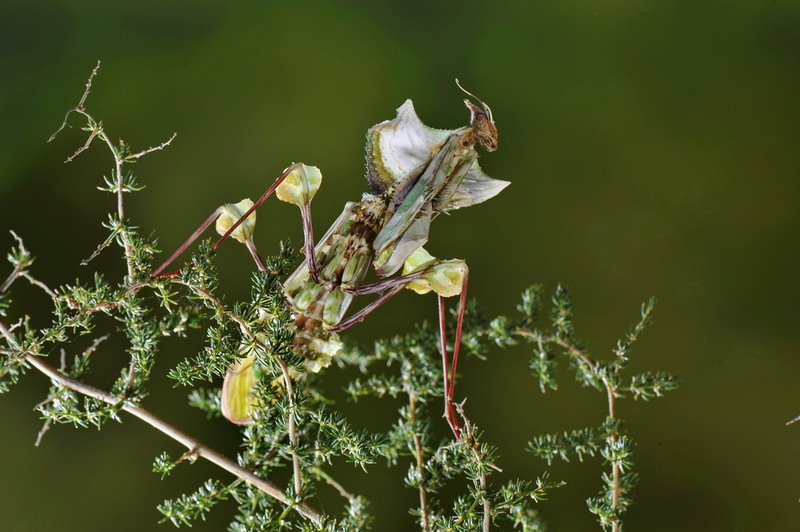 Mantids are totally carnivorous and not very selective with prey. 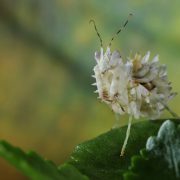 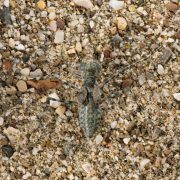 They are ambush predators that seize anything smaller than they are. 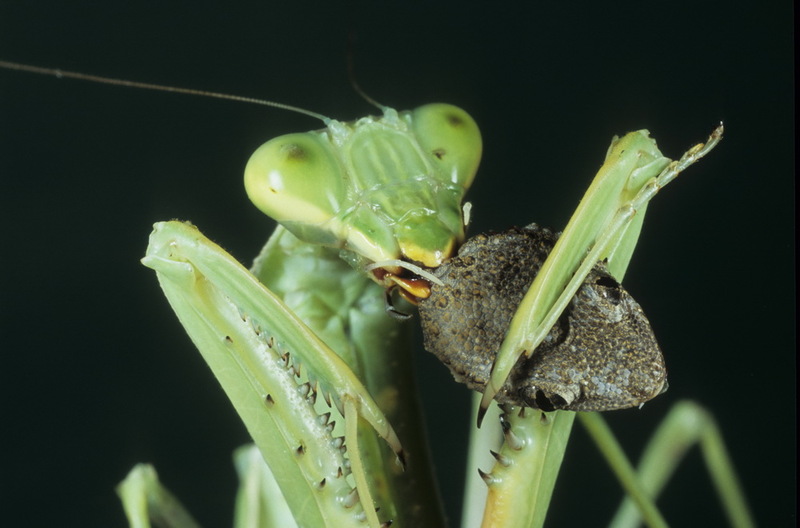 Attacks on birds, snakes, frogs are quite common in nature. 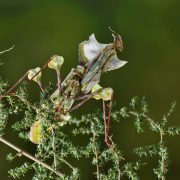 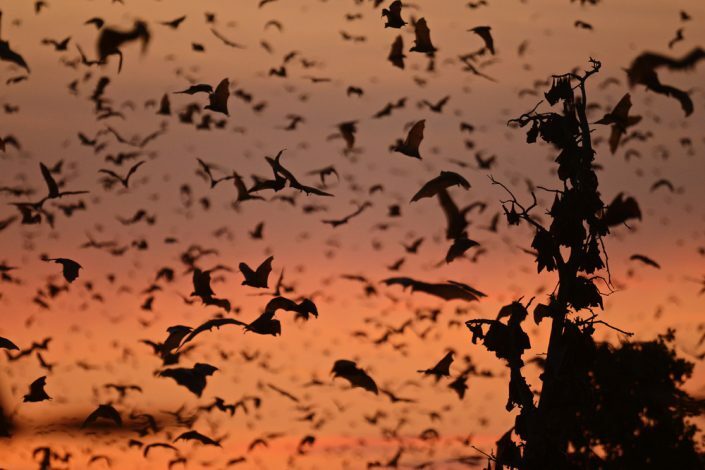 Females are bigger than males and most of the time, because of their weight, are not even able to fly or are wingless. 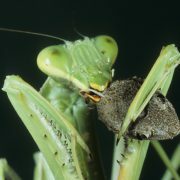 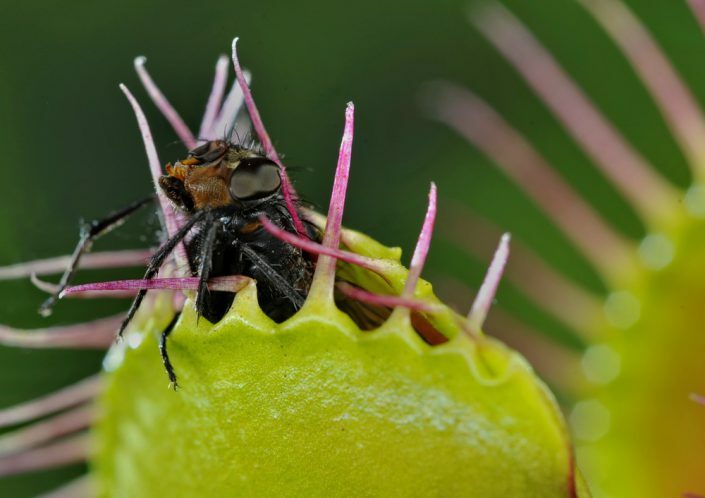 Males should be cautious during mating and can be eaten in the process. 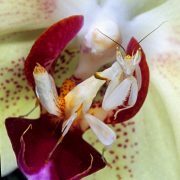 But in many cases even if the female manages to grab him, he’s simply programmed to continue copulating, thanks to the particular structure of the nervous system. 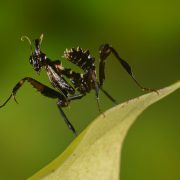 Some species, like Theopropus and Hymenopus, have very small and agile males, capable of evading aggressive partners. 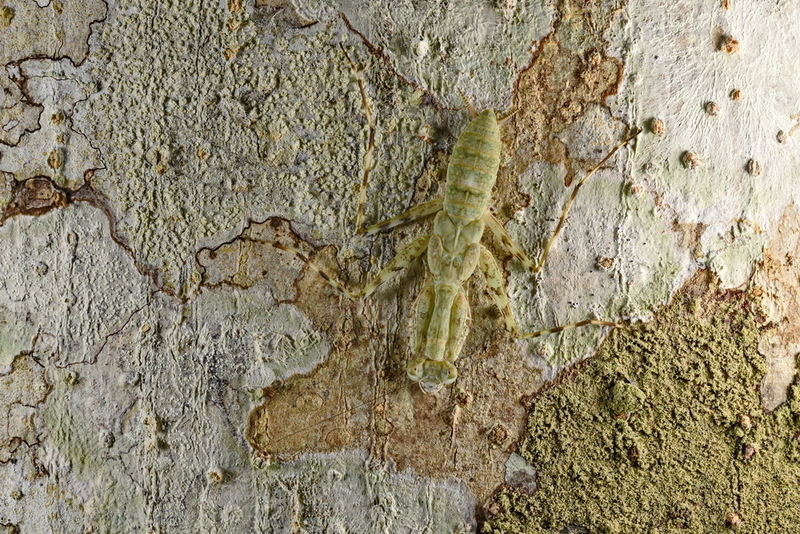 Pregnant females produce some dozen eggs week later in a foam container, the eggcase, that enables embryos to develop screened by adverse environmental conditions and many predators. 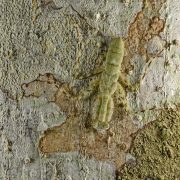 The babies, similar to adults, grow fast and often are reach maturity in less than 4-5 months, shedding their skin to grow bigger. 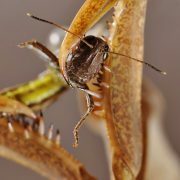 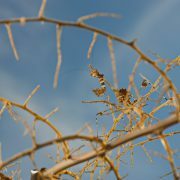 The adult insect won’t live for too much: the biggest females often do not reach a year of age. 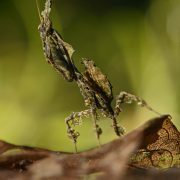 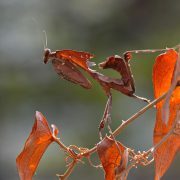 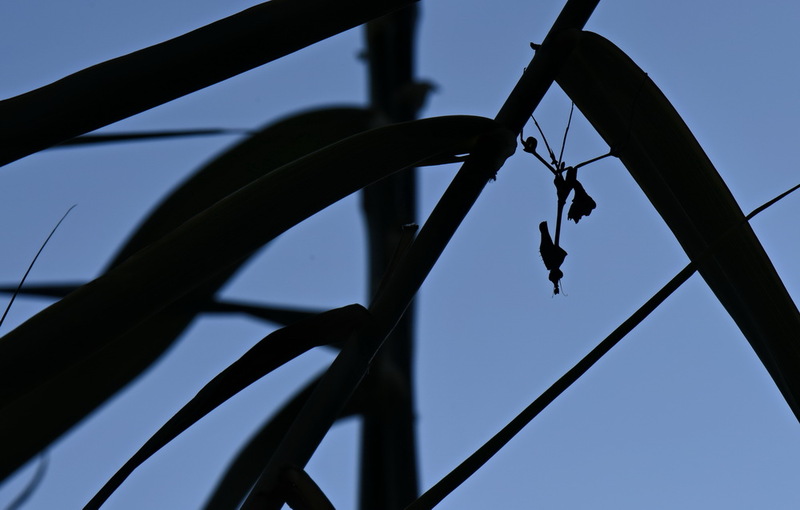 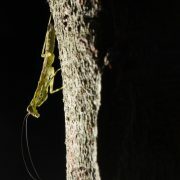 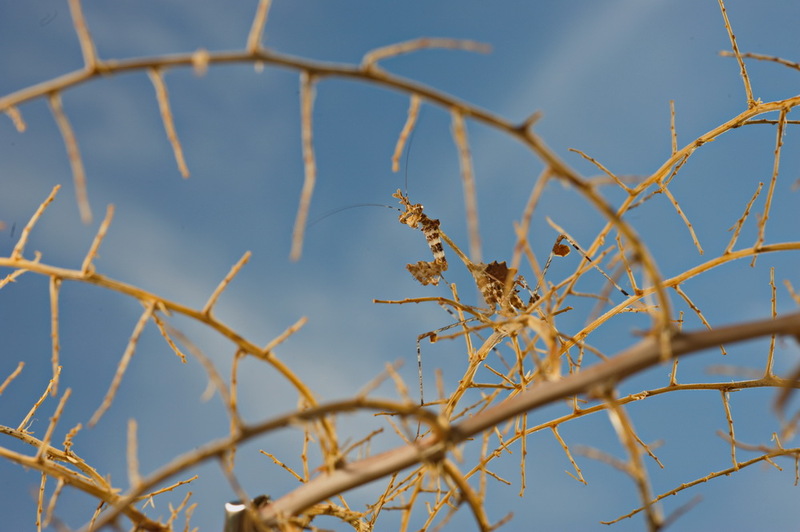 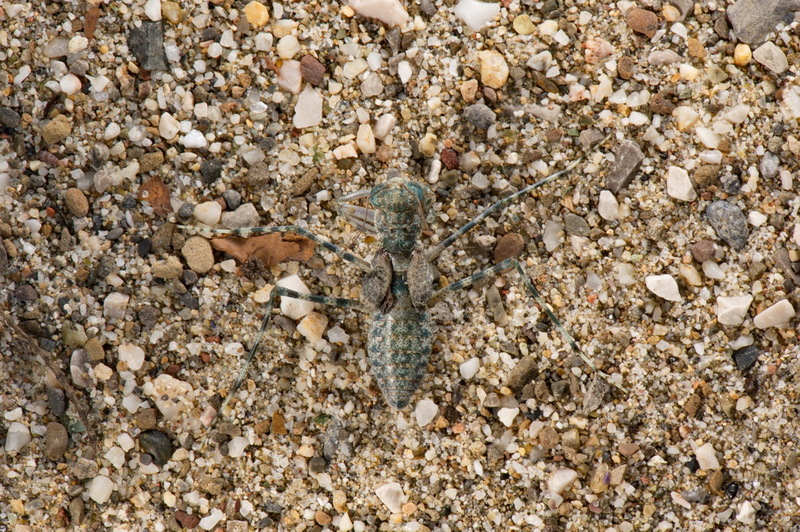 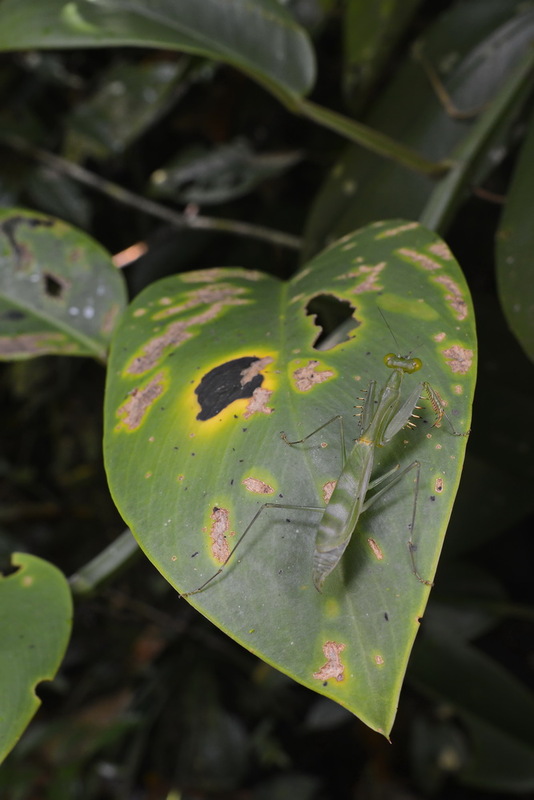 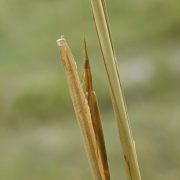 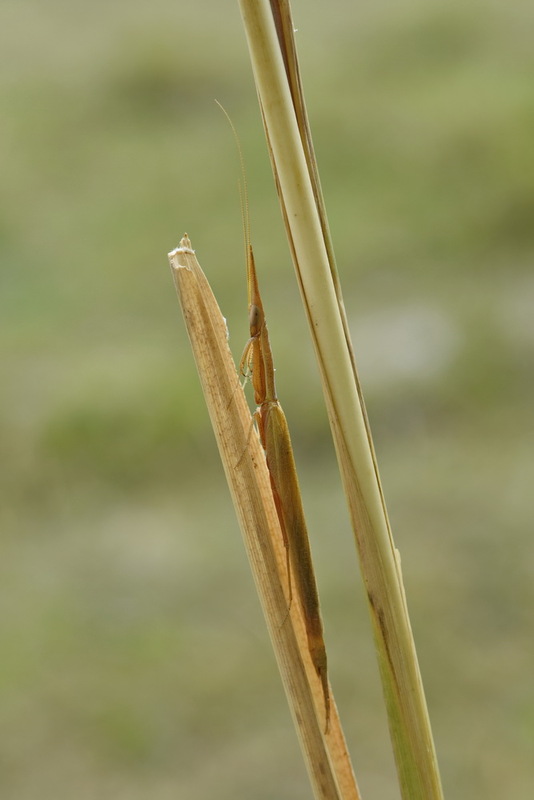 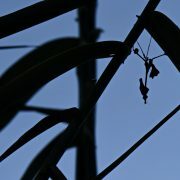 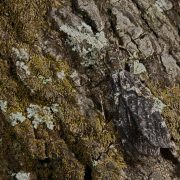 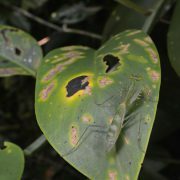 Mantids are camouflage masters. 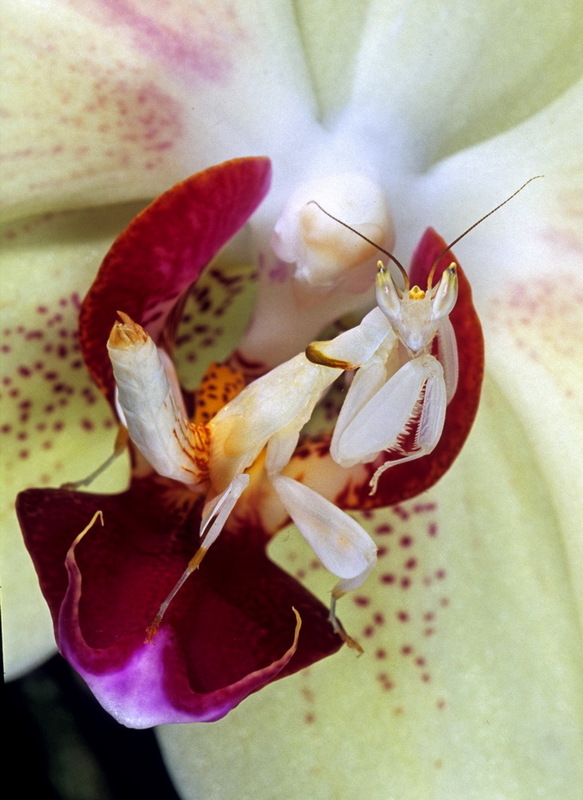 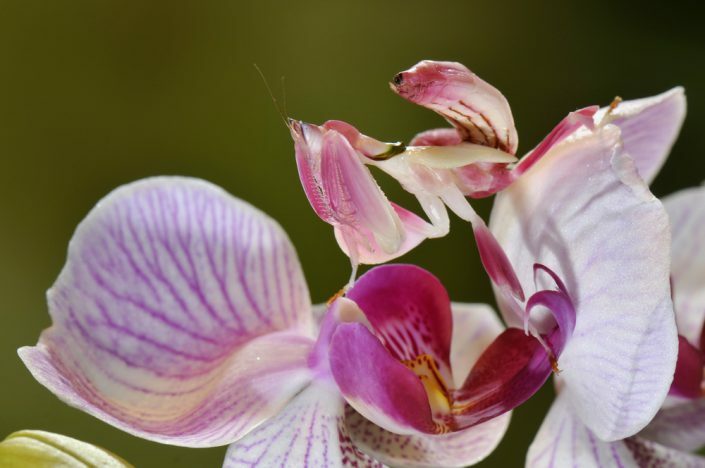 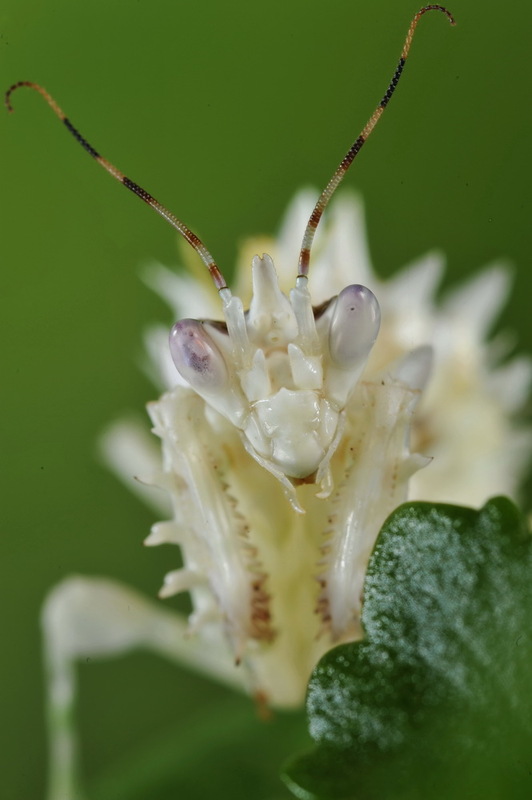 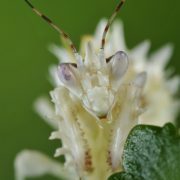 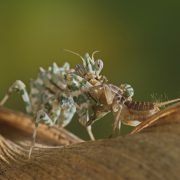 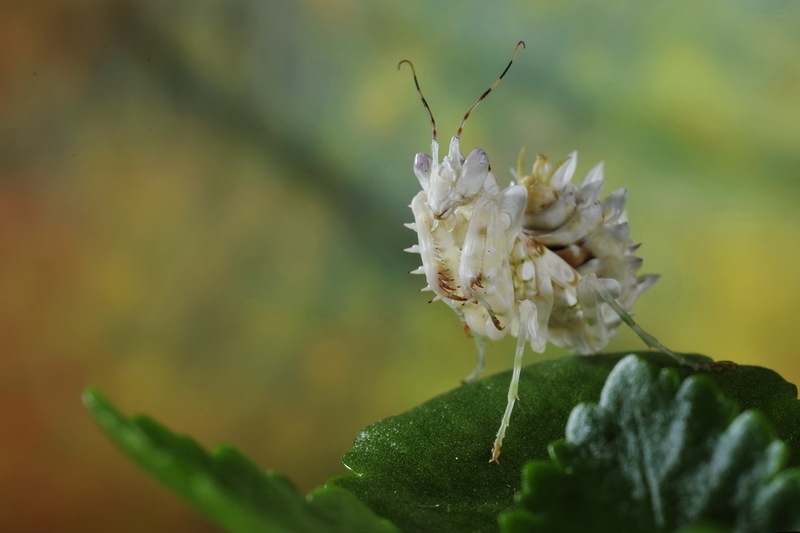 The orchid mantis Hymenopus coronatus, during the course of its lives, imitates bugs, when young, and later various kinds of flowers. 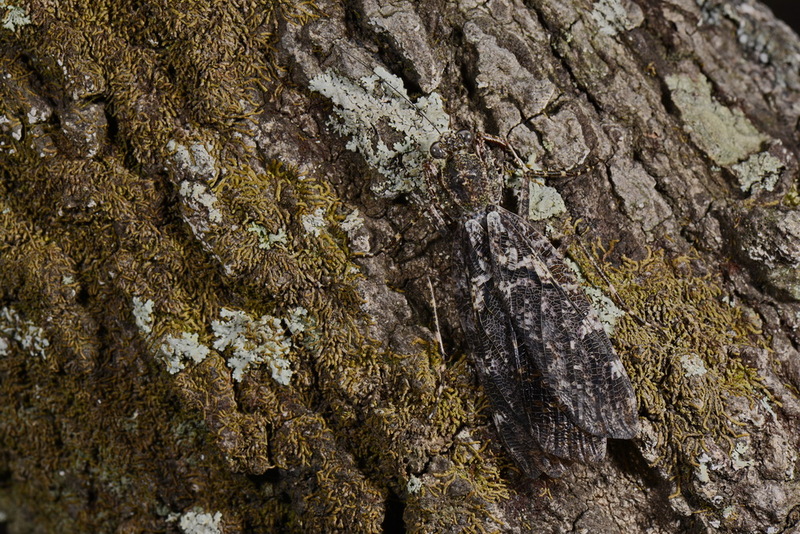 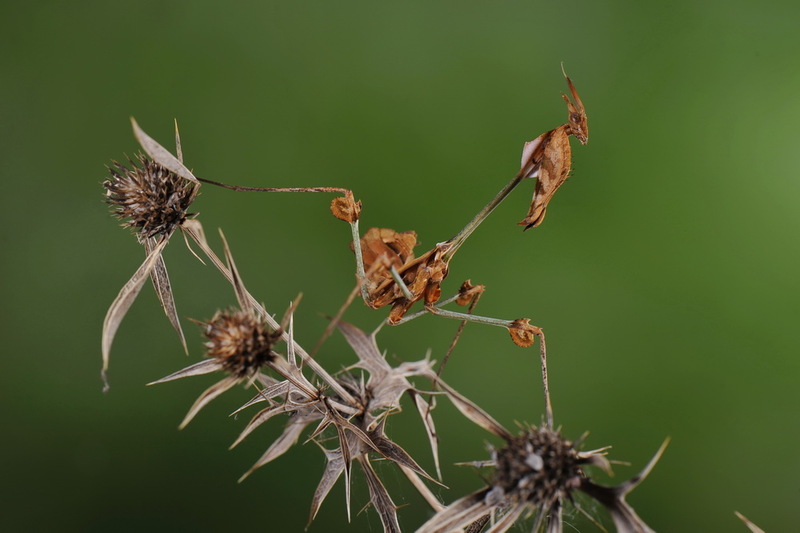 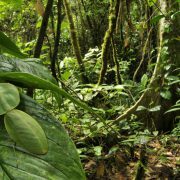 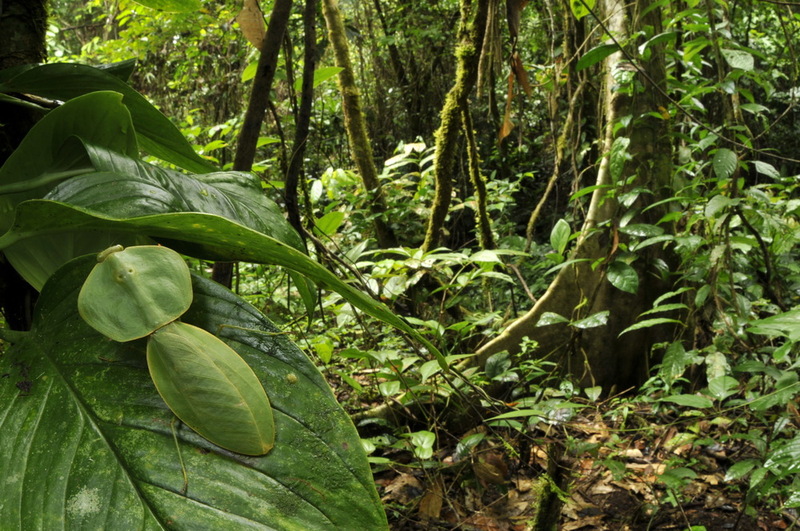 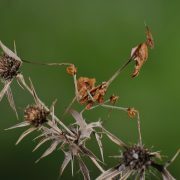 Even less spectacular species can be very similar to dead leaves, branches, cork and even mosses. 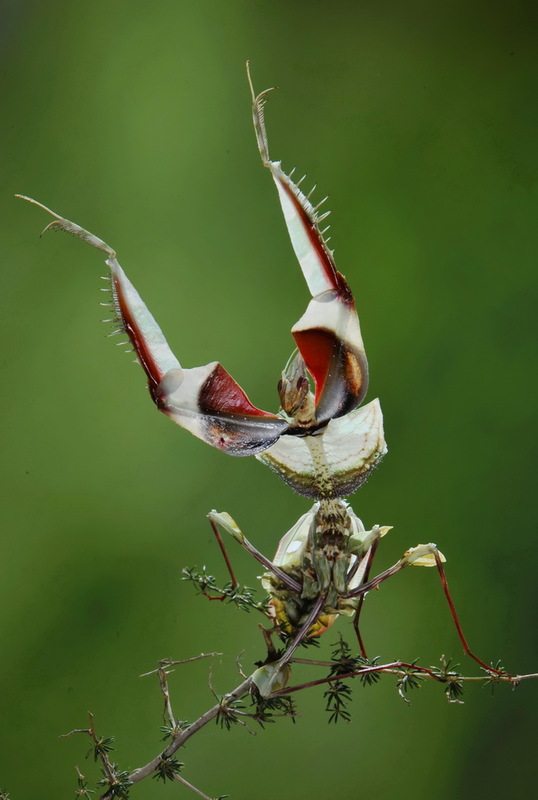 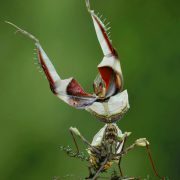 When threatened mantids often make impressive threat displays, showing warning colours normally concealed, like african devil’s flower mantis Idolomantis diabolica with its show, with long, colourful legs fully streched. 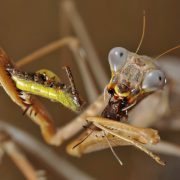 But it’s a bluff since mantids are not poisonous, even if they can inflict painful bites and pinch with forelegs.